With all the crazy new food innovations happening in ballparks across America, it’s easy to wonder how it all started. Today, ballpark menus can span a wide range of flavors and types of food, but hot dogs have always been a staple of the baseball experience. While the exact origin of the hot dog itself is unclear, one of the most famous tales is that of Charles Feltman. This butcher of German ancestry started a cart in Coney Island in 1867 from which he sold hot sausages on rolls. Soon the cart expanded into a big business. Then, according to History.com, a bread slicer at Feltman’s started his own stand in 1916, selling hot dogs for half the price. The bread-slicer’s name was Nathan Handwerker, the namesake for Nathan’s Famous hot dog brand sold in many ballparks across the country. The earliest account of baseball and hot dogs becoming a pair tracks back to 1892 when Chris Von der Ahe began selling the treat at his ballpark in St. Louis. The peak season for hot dog consumption takes place from Memorial Day to Labor Day during which time Americans consume approximately seven billion hot dogs (yes, billion). While some of this consumption can be attributed to cookouts and other summer fun, at least 30 million hot dog sales each year can be attributed to ballpark concession stands. As for snacks, each MLB team sells around 70,000 bags of peanuts each season. While peanuts were originally a snack of the lower class, they became a popular energy source for soldiers on both sides of the Civil War. After the war, their popularity only grew and they soon tagged along in the pockets of attendees of America’s Favorite Pastime. Discarded peanut shells quickly littered ballparks nationwide. Now, many fans can’t attend a game without a pouch of peanuts on their person. As the song goes, “buy me some peanuts and Cracker Jacks,” but where did this iconic treat come from? This popcorn-based delicacy was introduced by Frederick and Louis Rueckheim at the 1893 Chicago World’s Fair. In 1896, the creation received it’s current name of Cracker Jack, which at the time meant something was awesome. A decade later, the baseball game favorite was included in Jack Norworth And Albert Von Tilzer’s song “Take Me Out to the Ballgame”. According to history.com, the first Cracker Jack box prize appeared in 1912 and more than 23 billion tiny treasures have been distributed to this day. If you’re favorite part of any baseball game is the food, you’re in good company. Today, concessions companies compete to outdo each other with the most outrageous creations. This season, MLB fans can keep an eye out for such offerings as the “Burgerizza” which, according to theweek.com, is a 20-ounce bacon cheeseburger with two personal pizzas as the buns. Fans of the Atlanta Braves can look forward to a “Hot Dog Sundae” while Ranger’s fans can look out for the “Sweet Spot Cotton Candy Dog” — a hot dog topped with cotton candy. Hungry yet? 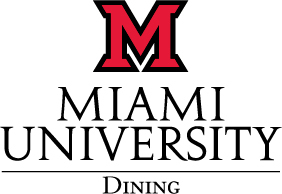 Join us at Martin Dining Hall on April 12 from 5-8pm for our Seventh Inning Stretch Dinner. The menu will feature a hot dog bar, with your choice of toppings, and many more tasty food straight from the ballpark! Share your favorite with us!